Local telco Starhub has partnered Singapore-based sustainable energy firm Sunseap to enter the Open Electricity Market. With the soft launch of the initiative, the companies announced in a joint press statement that they will be collaborating on various fronts – including customer service, billing and sales – to ensure a fuss-free experience for households. Starting next month, households in Jurong will be able to switch out of their existing electricity retailer and go solar without the hassle of owning or installing solar panels. Both companies are also exploring opportunities in smart energy and Internet of Things solutions to bring continued benefits to customers. The Energy Market Authority’s soft launch in Jurong will culminate in a full liberalisation of the retail electricity market in the second half of this year. Consumers will be free to choose their desired electricity retailers according to their usage patterns and the prices offered. Switching electricity retailers will be seamless; there will be no disruption and customers can continue to enjoy the same quality and reliability of electricity supply. 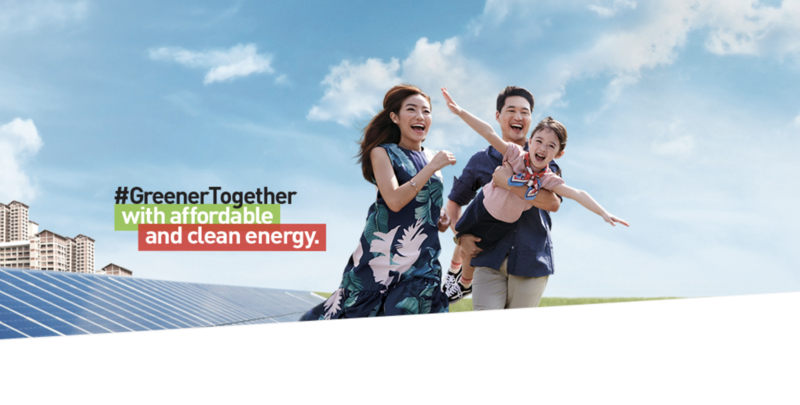 Mr Frank Phuan, Co-Founder and Chief Executive Officer, Sunseap Group, said: “We are pleased to be in a joint operation with StarHub to help residents in Singapore go green. This will make it easy for both existing and potential StarHub customers to switch to solar energy without any break in their regular electricity service. Sunseap is committed to helping consumers do their part to lower global warming emissions, which we believe is one of the most urgent challenges of the 21st century."